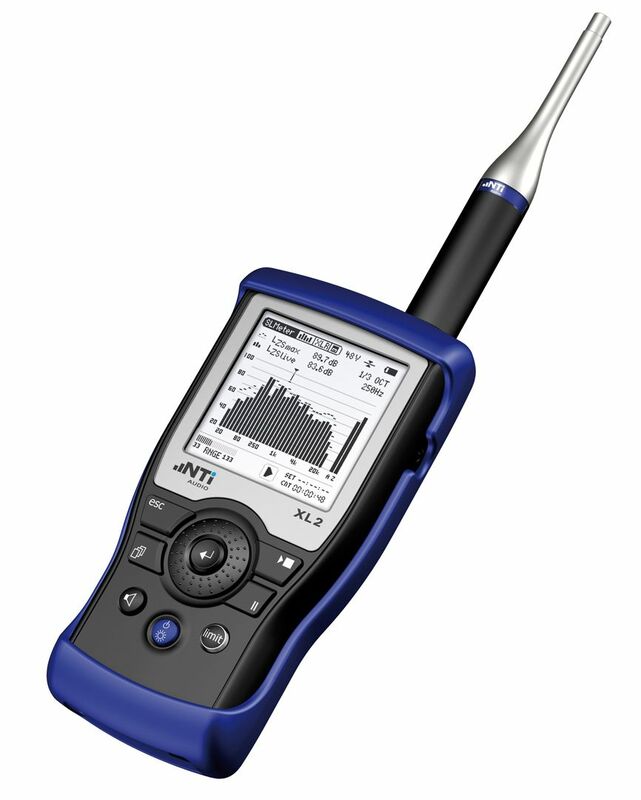 Fully featured sound level meter and acoustic analyzer from NTi. This unit has a rapid start-up time - it is possible to measure the sound environment within seconds of pressing the power button. This instrument has a feature set comparable to products at a much higher price, making it great value - and the price offered by Ampman is one of the cheapest you will find. RTA real time analysis, used for observing sound system and room acoustics. FFT analysis, for visualising frequency spectra. Polarity check, used to check the balance of a system between left and right speakers. Delay time, which is vital for setting up sound system delay lines. RMS/THD measurement, comprehensive analysis of audio signal performance and distortion levels. Oscilloscope view, a slick graphical view of the incoming signal over time. There is also a USB port, allowing PC integration for data logging and transfer, and an integrated speaker for monitoring audio channels. If you wish to receive this as a bundle with a microphone included, please choose from the options above. M2215 - Measurement microphone for high acoustic levels (up to 153 dB), with class 1 frequency response and metal diaphragm. M4261 - Cost-effective class 2 measurement microphone for general sound level testing, commissioning and service of audio-acoustic installations. The data sheet for all NTi microphones is available here. The XL2 (and microphone) can be issued with an official NTi calibration certificate, if required. This is essential for complying with certain types of legislation. Your XL2 will be valuable in a wide range of situations - including community noise, installed sound, industrial and live sound applications.